Chelsea winger Eden Hazard may yet be persuaded to remain at Stamford Bridge after yet another key player agrees on a contract extension. The Belgian winger has been heavily linked with Real Madrid in recent months and even admitted back in October that he ‘dreams’ of one day playing at the Santiago Bernabeu, according to BBC Sport. With the January transfer window fast approaching Chelsea fans are sweating on the future of their star man, but his performances have suggested that he remains 100% committed to the club’s cause. 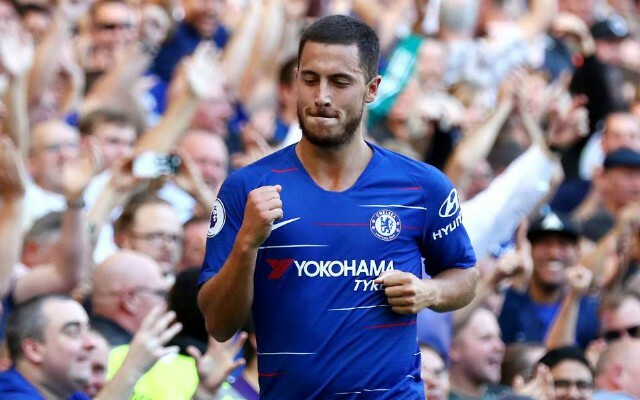 Hazard has hit seven goals in 13 matches at the start of the 2018-19 Premier League season to help drive the Blues into the top four, seven points behind leaders Manchester City. The club has also been boosted by recent contract extensions for several of the squad’s most prized assets, such as N’Golo Kante and Marcos Alonso. According to The Sun, Cesar Azpiliqueta is the latest to commit his future to the Blues and that news could be another step in the right direction to convincing Hazard to remain at Stamford Bridge. Chelsea are still involved in ongoing negotiations with the 27-year-old superstar regarding his future and are hopeful of tieing him down to an extension in the new year, with 18-months left to run on his current deal. The Belgium international is arguably the club’s most important player and his continued presence in Maurizio Sarri’s squad will be vital in their pursuit of silverware over the next six months and beyond. 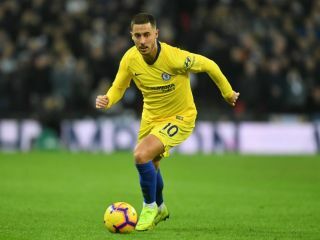 Blues officials are being clever in their approach to convince him to stay, as by promising that his teammates will still be around for the foreseeable future Hazard is being assured of continuity, which can surely only be a good thing for the team going forward. The talismanic attacker’s future will surely be a hot topic of discussion for many months to come, but Azpilicueta has certainly managed to add a new twist to this transfer saga, which should help to reassure Chelsea fans across the country.